Happy Meatless Monday! 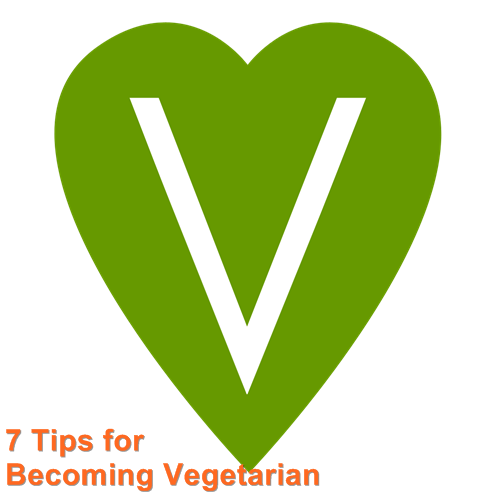 Here are some tips that can help anyone get started with a vegetarian or vegan diet. There are many great reasons to adopt a vegetarian diet, but it's important that you take a moment to think about your motivations. Why do you want to become vegetarian? What results to you hope to achieve? Jot a list. Post it on your fridge or tuck it in your wallet. Keeping your goals in mind, and visible, will make the transition much easier. If you have a vegetarian friend, ask him to share his favorite recipes, direct you to the best veg dishes at local restaurants, and give you the scoop on things like the latest nut milk everyone is going gaga for. If you don't know any vegetarians, see if a friend is willing to try going veg with you. This sounds obvious, but if you think about it, there are lots of vegan and vegetarian foods that are anything but vegetables. They are expensive, over-packaged, highly processed, and contain lots of salt and sugar. If you're going to change your diet, why not make a change for the better? Eat vegetables. Eat fruit. Eat whole grains. Eat real food! Visit PetsandPests.com to read the rest of my post and learn 4 more tips for becoming vegetarian. I'm really happy to be the guest blogger there today. Great tips! Congrats on your guest post! I will try this, i am fan of non veg but some how it is not working for my body so i want to become vegan forever and these are really great tips to know.